Going to prom! 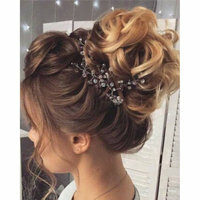 Which hair style? 1, 2 or 3?? 2 or 3! It depends on the dress and accessories! does anyone have any CC cream recommendations? I’ve been looking into I.T cosmetics but haven’t decided whether or not to go through with it yet! How can I make these work without fallout stila Magnificent Metals Shimmer & Glow Liquid Eye Shadow ? Hourglass Veil Mineral Primer ? Hourglass Veil Mineral Primer What makes this product so special? What I mean is what would be the reason for me to choose this primer over others? I have been using the same foundation for a couple years but my skin is changing as I get older so I am looking for a good medium coverage foundation that works for an oily tzone and dry cheeks. Any suggestions? I’m looking for a recommendation for an eye cream that is cheap and still does the trick. Could someone please recommend something to me? Best shampoo for color treated AND oily/thick hair?! Who knows the best products for thin hair? 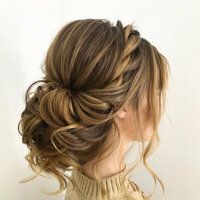 I need help finding volumizing products for thin hair, which brands are best? What's the best silicone free primer for dry skin. No matter how much I've exfoliated, and used my proper skin care steps. Once I put on foundation, or concealer, the dry patches will creep up. Especially on my nose, oddly my temples. Help!